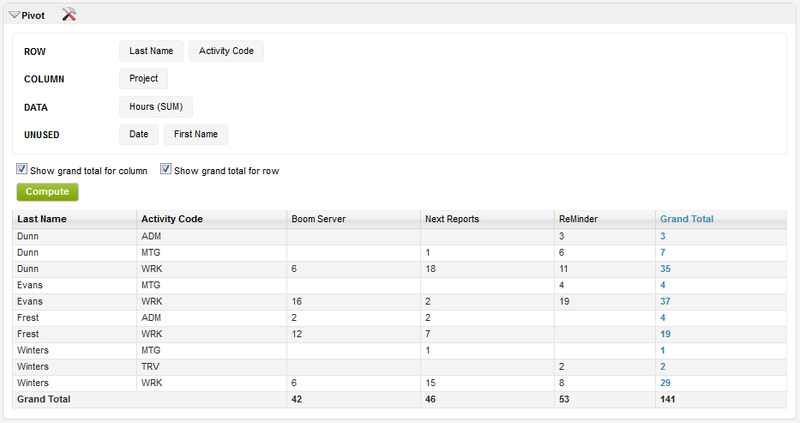 NextReports Server allows users to add a pivot widget inside a dashboard. This pivot can be created from any report found on server. Pivot widget is based on a simple sql query without OLAP integration. User selects what he wants to see on ROW, COLUMN and DATA. Also two check boxes will make the totals for rows and columns visible or not. When user clicks compute, data is presented to user. Also, on compute action, user selection is saved and when user returns to the widget, this selection is made automatically. Being a widget, user can also detach a pivot and make it as big as the screen with F11 key to have more space if needed. Alongside drill-down, pivot widget brings a new BI feature to analyze data. Because we want to contribute to java open source, our wicket pivot project was put on github. Do you have something to say about our pivot? Please tell us more on our forum.